I am in the midst of blogging about my Bangkok trip this year and also my Hong Kong trip last year, but guess what? Well, I am going to interrupt all that with a few posts about my trip to Melaka two months ago! I know, it's a bit crazy, but I just wanted to blog about places closer to home right now. I just hope that those of you who are following my blog will not be confused. Haha! 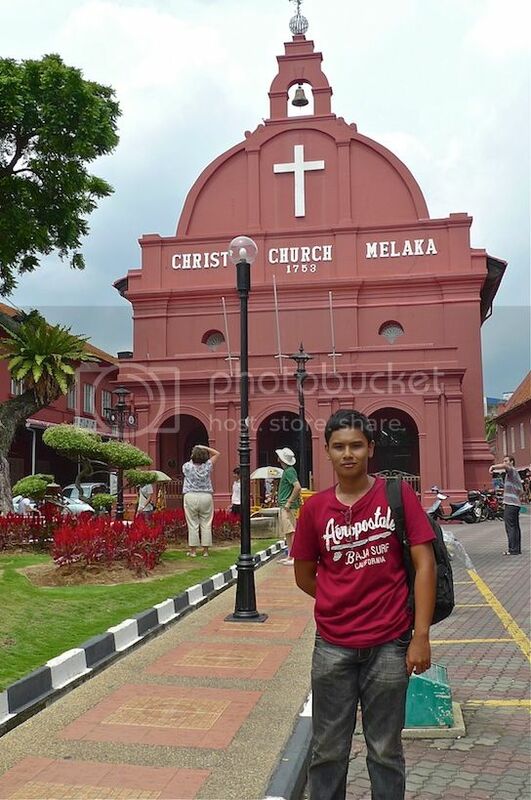 Last April, a Filipino friend by the name of Joey came to KL for a visit and I offered to be his tour guide in Melaka. 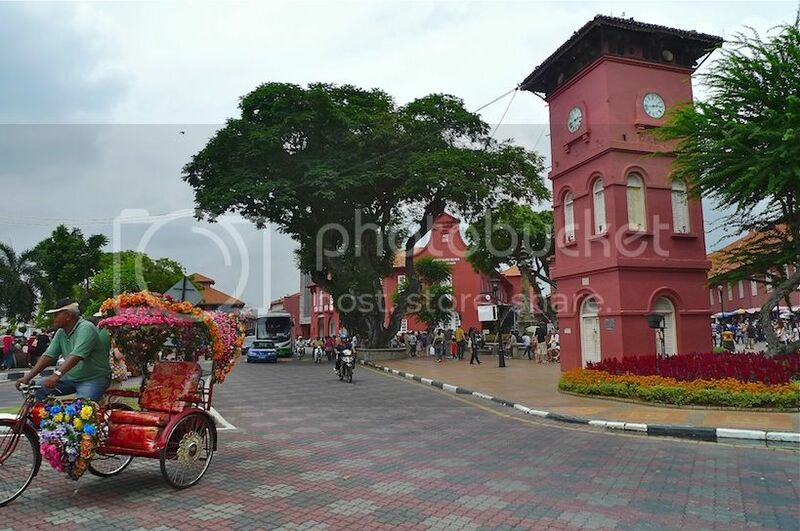 I must be out of my mind really, as I hardly know much about Melaka, what's more to be a tour guide! LOL! 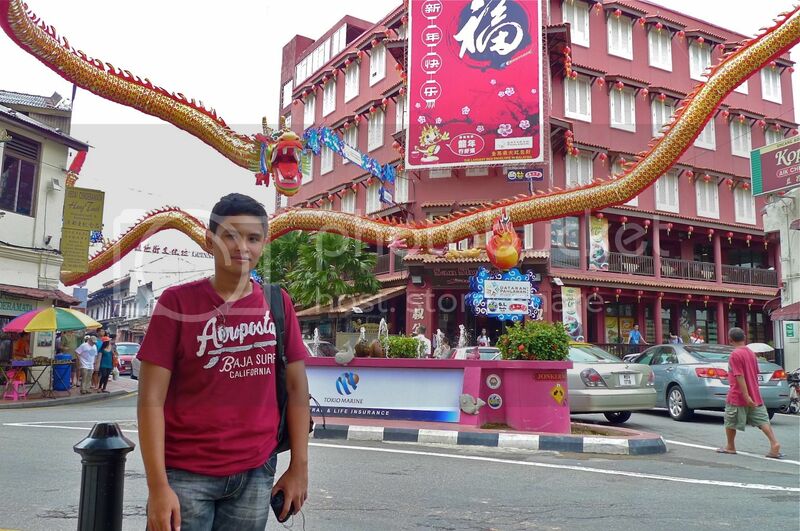 This is Joey standing in front of the famous Jonker Street. Parking spaces were quite limited in Melaka town, and I soon learnt that you need to buy these parking coupons from nearby shops and display them in your car. You are required to scratch the date and time when you start parking. Reminded me of similar parking coupons used in PJ and KL last time. Thankfully now they are all replaced with printed coupons from parking machines! If you notice, the date is 1st of June. Haha! 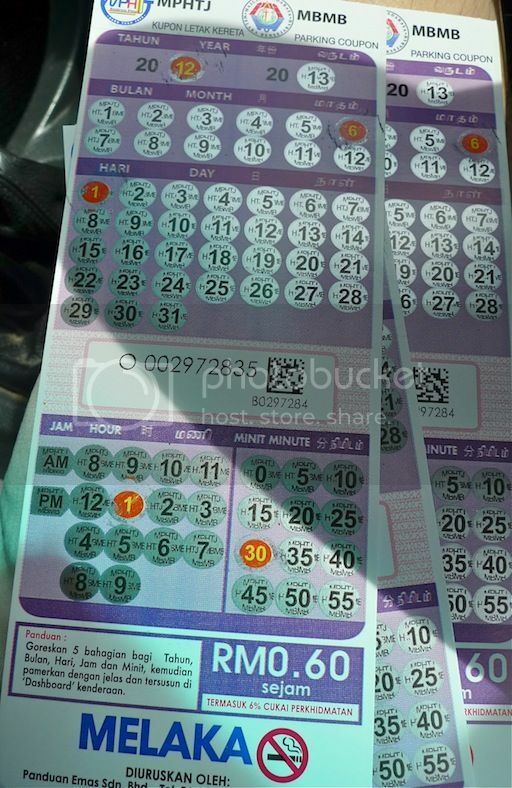 Yes, I went to Melaka again just last week and managed to snap a picture of the coupons after I scratched them with a coin. The first place I brought Joey to was the famous Dutch Square. There's a red clock tower in front. 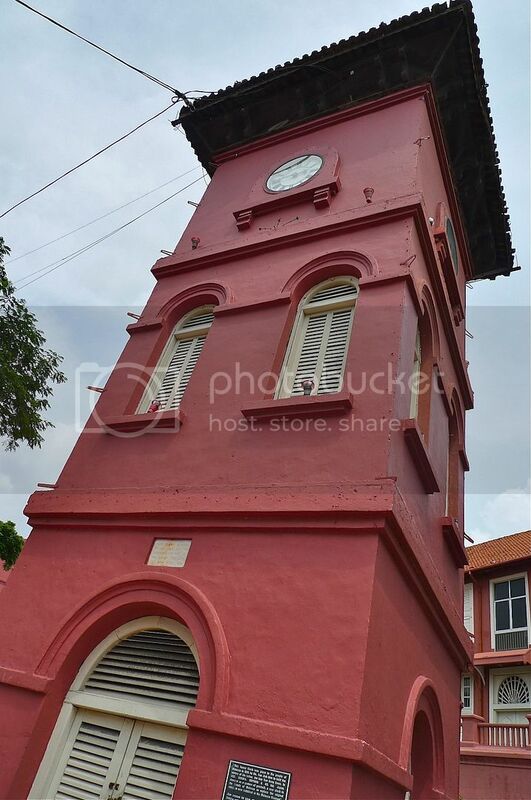 It's the famous Melaka clock tower. I wonder why all the buildings in this Dutch Square are painted in red? Anyone care to enlighten me? 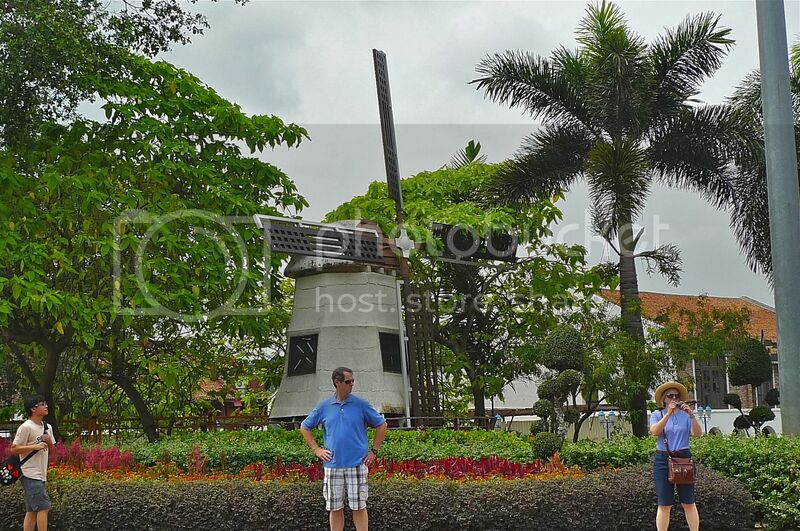 Oh, there's a windmill opposite the clock tower! Another evidence of Dutch rule. 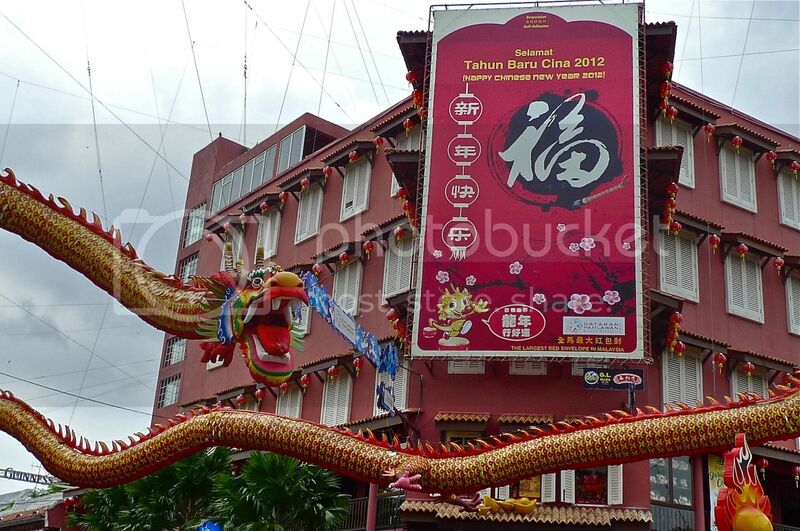 In case you are not familiar with Melaka's history, let me give you a short briefing. 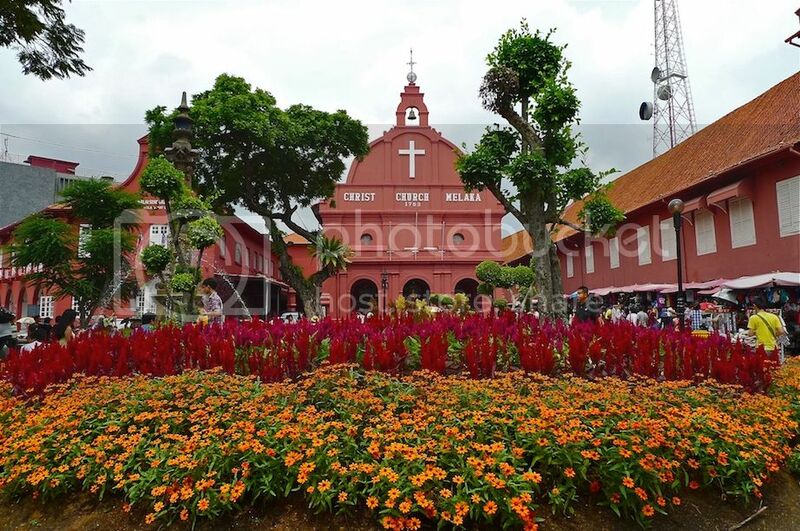 Melaka was first founded by a prince from Sumatra in the 14th century. It soon became a major trading port for ships from as far as India and China. 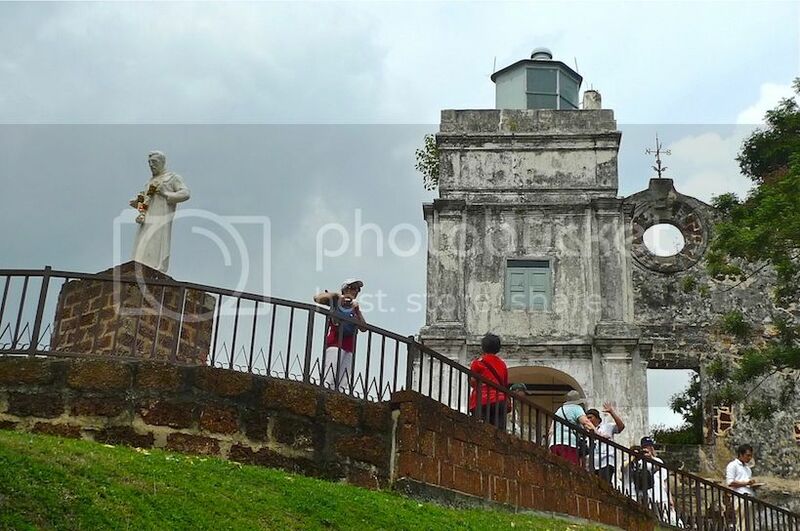 However, as the Melaka Sultanate flourished, Melaka was conquered by the Portuguese in 1511. 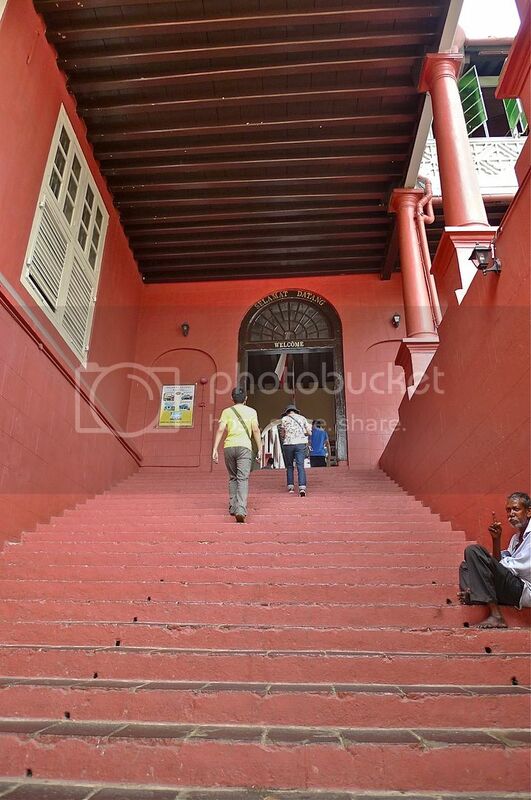 Later, the Dutch took over in 1641 but even later, the British Empire ruled over Melaka. 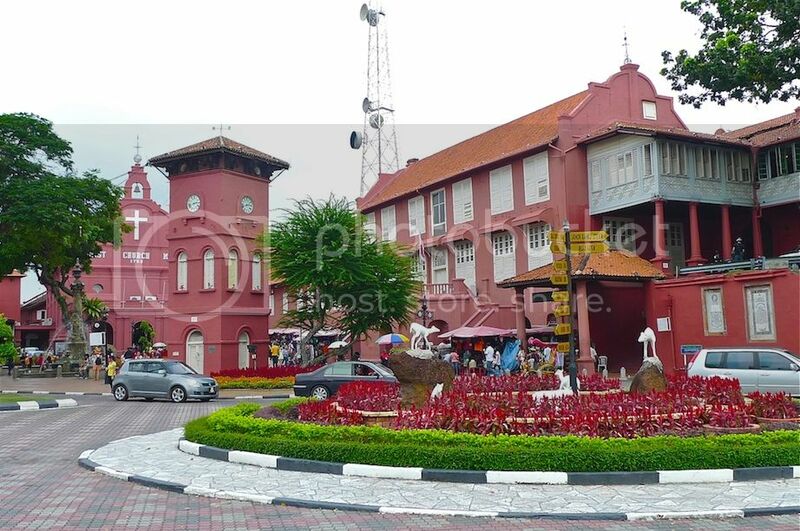 Melaka finally got its independence in 1957 together with other Malaya states. 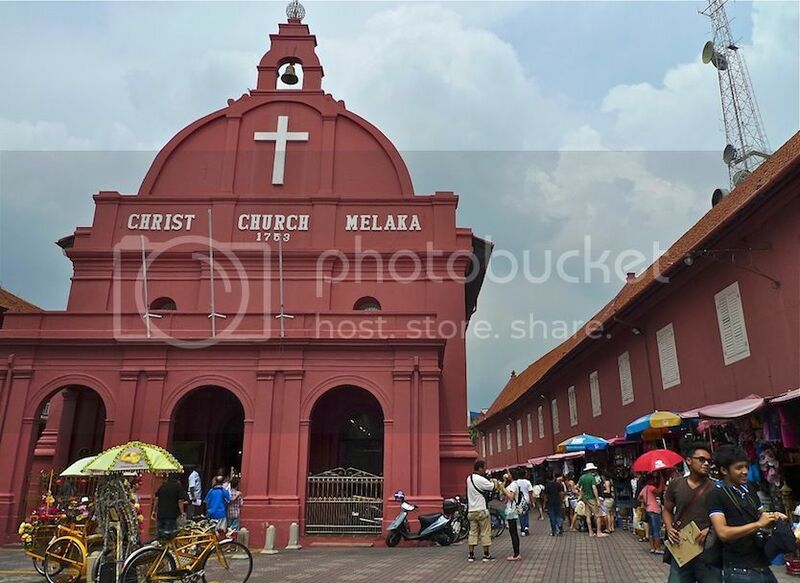 This is Christ Church Melaka. It was built by the Dutch in 1753. Joey wanted to enter the church, so we went in. However, we were not allowed to take any photos inside the church. We soon found out the reason - it appeared that they were selling pictures of the church interior. I think Joey managed to take a picture on his handphone secretly. LOL! This is Joey in front of the church. Next, we went over to The Stadthuys. This is the building next to the church on the right side of the photo below. The Stadthuys was originally the official residence of the Dutch Governor. It now houses the History and Ethnography Museum. We went up the stairs but we did not enter the Museum. I was not very fond of museums and Joey did not wish to check out the museum, so it was OK. 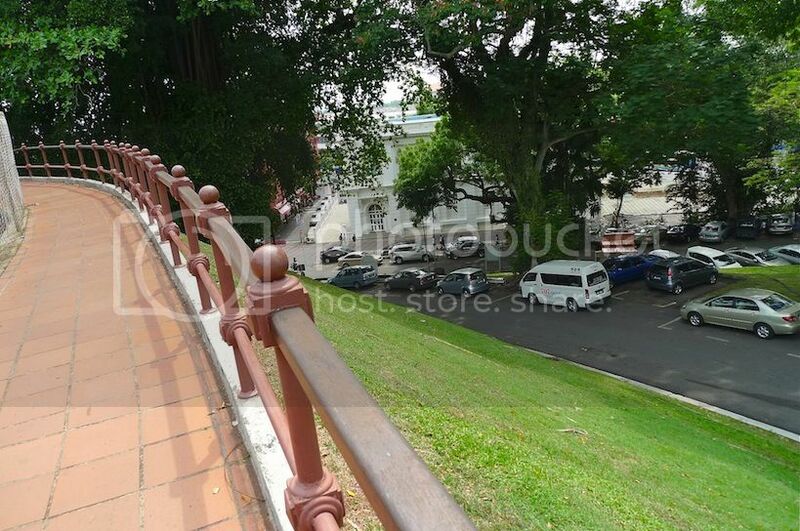 Instead, we decided to walk over to St. Paul's Hill nearby. 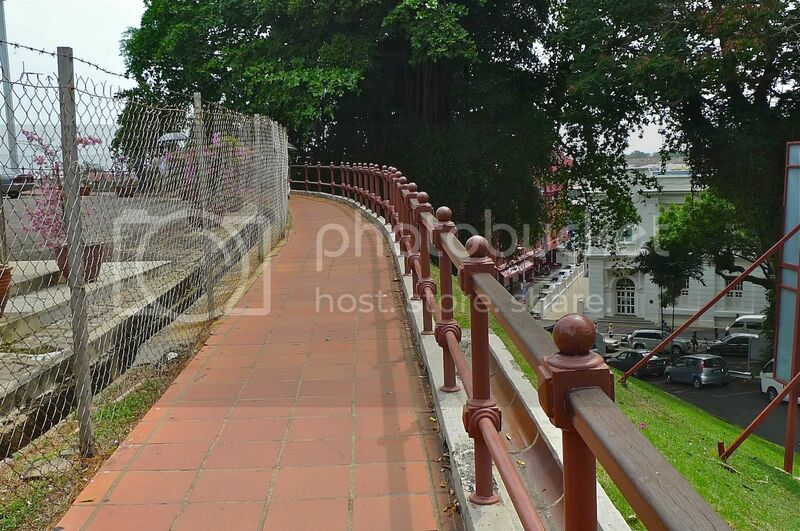 This is the pathway leading to St. Paul's Hill. From here, we could see the streets below. Climbing up a series of stairs, we soon reached the top of St. Paul's Hill. The ruins of St. Paul's Church came into view.